Canada’s Food Guide recommends choosing plant-based protein foods more often. 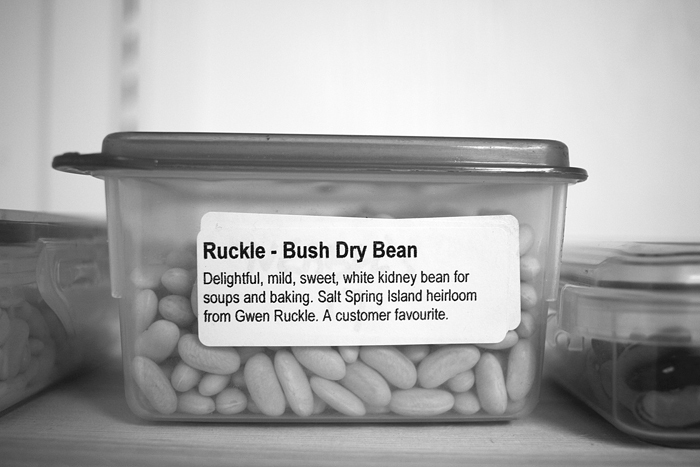 Dried or canned beans are good alternatives to meat-based proteins. Canadians need to eat their green vegetables. That is the main takeaway from the recently updated Food Guide, released by the Ministry of Health on Jan. 22. However, for food banks and people experiencing food insecurity, that may be easier said than done. According to the guide, most of the calories that Canadians eat should come from plant-based sources. The new guide takes a simpler approach to nutrition than previous versions, doing away with the familiar food groups, portion sizes and recommendations for different parts of the population. Instead, it is recommended that of all the calories consumed in a day, fruits and vegetables should account for at least half of those. The other half should be split into whole grains at 25 per cent of daily calories and protein sources (again, mainly from plants) with the final 25 per cent. The Dairy and Meat and Alternatives categories have been brought under the protein portion. As for drinks, the guide recommends choosing water as a main source of hydration. The emphasis on plant-based foods is new for the guide, which in all previous versions has included sections on both meat and dairy. However, this version recommends that Canadian eaters “choose protein foods that come from plants more often” since these foods have more fibre and less saturated fats than other types of protein foods. This does not mean that meat is off the table. Most protein, however, should come from plant sources like soy, beans, lentils, nuts and seeds and eggs. The other two recommendations are easier to understand. Fruits and vegetables are great sources of unprocessed nutrients, vitamins and essentially anything needed to keep a human healthy. Whole grains are also fairly easy to understand, but should not be confused with similar terms. Whole grains include foods that are made with the entirety of a grain kernel. This includes the bran, germ and endosperm. Multigrain foods contain more than one kind of grain, but these do not have to have the entire grain. However, this emphasis on quality, healthy food can be a problem for food banks, where donations often come in the form of cheaper, calorie-heavy foods. Bringing in more fresh food and storing it properly can be a problem that food banks need to adapt to. It is possible for food banks and food security programs to bring in fresher vegetables and other healthier foods. On Salt Spring, the food bank is supplemented by gardeners who donate their crops in the summer time. Community Services also runs a community farm in the Fulford Valley that provides vegetables to their various programs. Grocery stores and restaurants in the area also donate unsold fruits and vegetables to the program. For more on this story, see the Feb. 13, 2019 issue of the Gulf Islands Driftwood newspaper, or subscribe online.